A new pattern book from Kate Davies is published this week – “Milarrochy Heids” ! 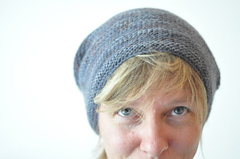 It contains 12 hat patterns from different designers but all knit in the Milarrochy Tweed yarn from Kate. Every day another pattern will be published during the week. And I had the chance to test one of those patterns!!!! So happy and honoured! Nov 17, 2018 Nov 17, 2018 by Modern Maker7 Comments on A wearable knitted skirt! Nov 11, 2018 Nov 13, 2018 by Modern Maker14 Comments on What’s that? Latch Hooking? Do you know latch hooking? I’m bet, if you’re not German, you don’t!? So what is it? Nov 4, 2018 Nov 4, 2018 by Modern Maker6 Comments on Birth of Inspiration?